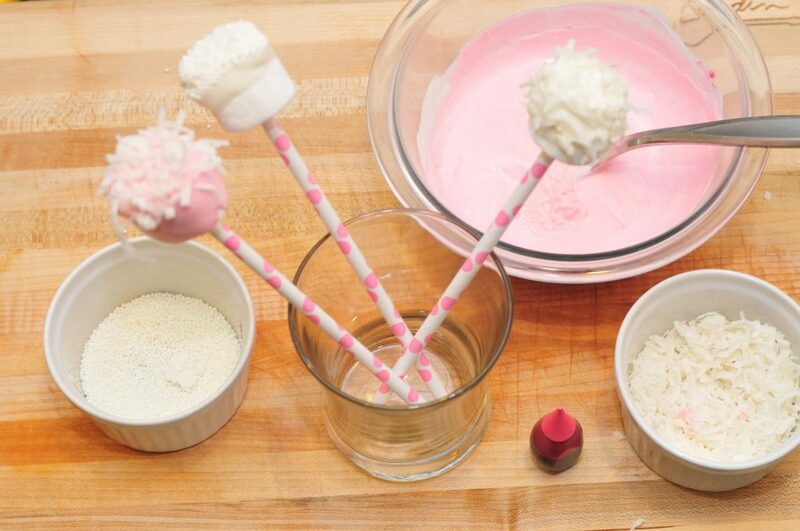 How to Make Valentine’s Day Marshmallow Pops - These Are So Cute! Looking for some Valentine’s Day ideas? These marshmallow pops are so cute, perfect to pass out at Valentine’s Day school parties, or make them with the kids to eat yourself! These Marshmallow Pops took under twenty minutes to make from start to finish and they turned out adorable! All you will need are: marshmallows, white chocolate, sprinkles (crushed graham cracker, coconut, etc. ), popsicle sticks or paper straws and food coloring. Note: My favorite place to buy paper straws is Amazon, fast and affordable! Also, check your local specialty baking and crafting stores. 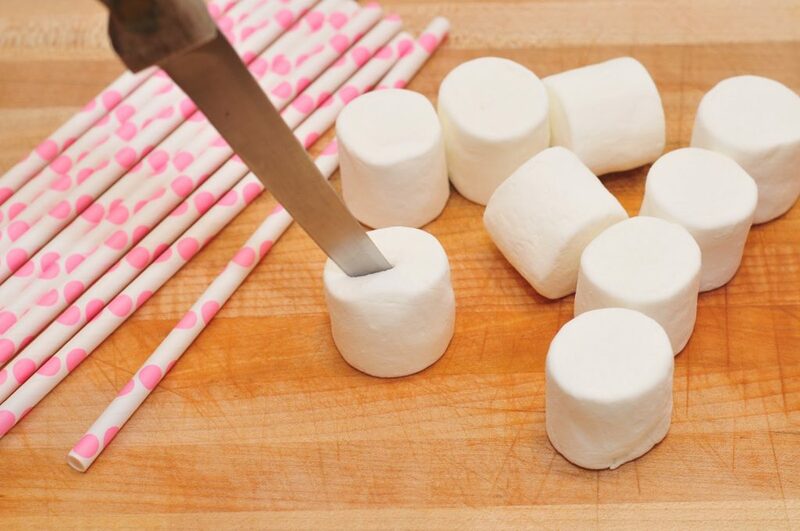 First cut a small slit in the top of the marshmallows to allow you to insert your straw. If you skip this step you just might mash your marshmallows! Meanwhile, melt the white chocolate in the microwave on medium heat and stir every 30 seconds. White chocolate seems to burn a lot easier than regular chocolate so watch it closely! Add your food coloring if desired. Next up is the fun part: decorating! Dip the frozen marshmallows in the white chocolate. You will want to tap the excess white chocolate off. The frozen marshmallow will make the chocolate harden quickly so don’t wait too long before dipping them into the sprinkles. My kids loved helping with this project. They are still pretty young, so I was in charge of the dipping and they rolled the chocolate covered marshmallows in their topping of choice! These would make lovely Valentine’s Day gifts or treats all wrapped up in clear plastic and a pretty ribbon! Cake Pops are all the rage right now. But they take so long to make, and even after many attempts at the art, my pops end up being a bit lumpy (even though delicious)! 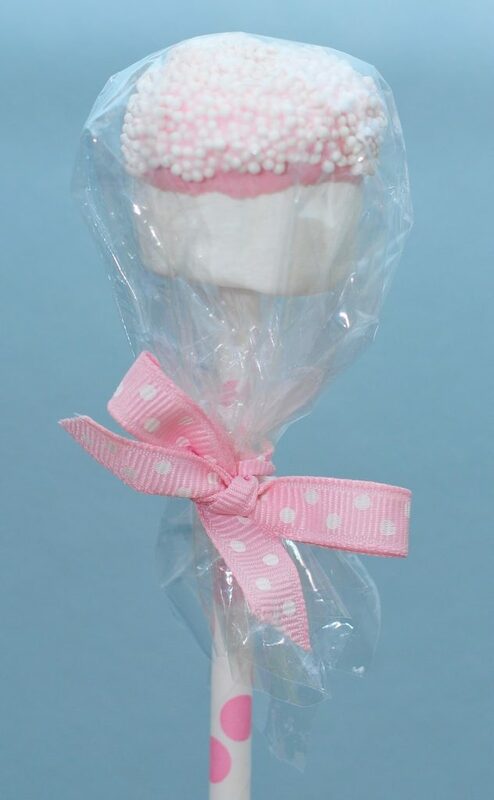 If you would like the cute cake pop look for a baby shower, birthday party or a Valentine’s Day treat but you don’t want the hassle, make Marshmallow Pops! Feeling lazy? 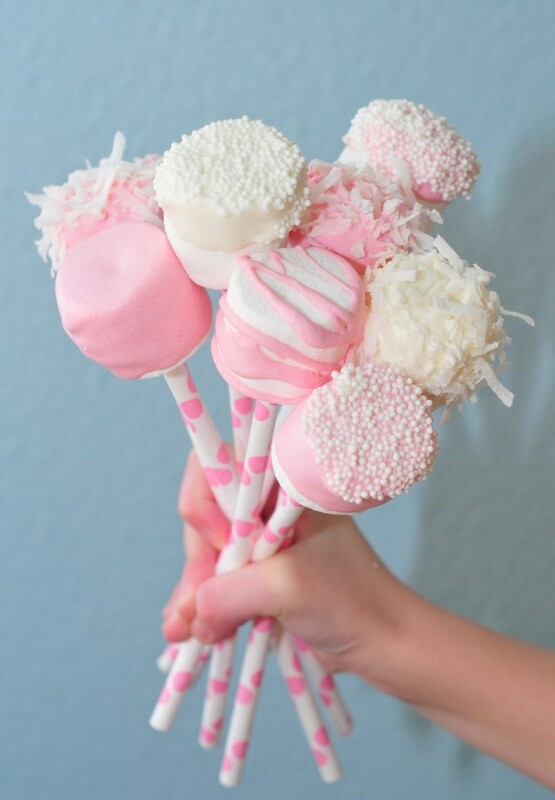 Want these marshmallow pops to appear without making them yourself? 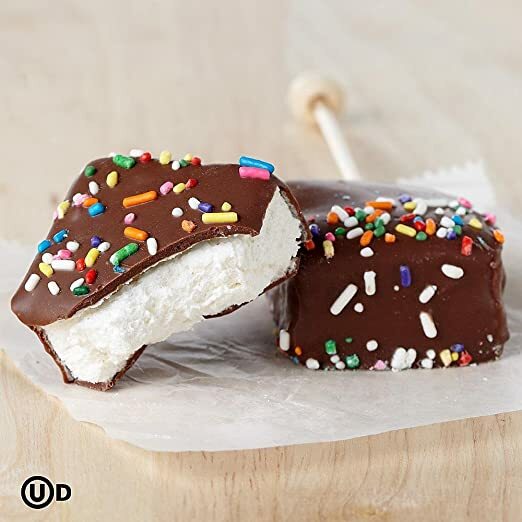 Grab these large handmade chocolate dipped marshmallow pops or ultimate Belgian chocolate marshmallows on a stick, they look delicious! Make these cute Valentine’s Day Treat Pockets! A fun and easy craft for kids, they can display them as decorations or pass them out to friends at school! Social Shopping With Sneakpeeq! Win Gift Cards and Love It! These look so great and easy to make. 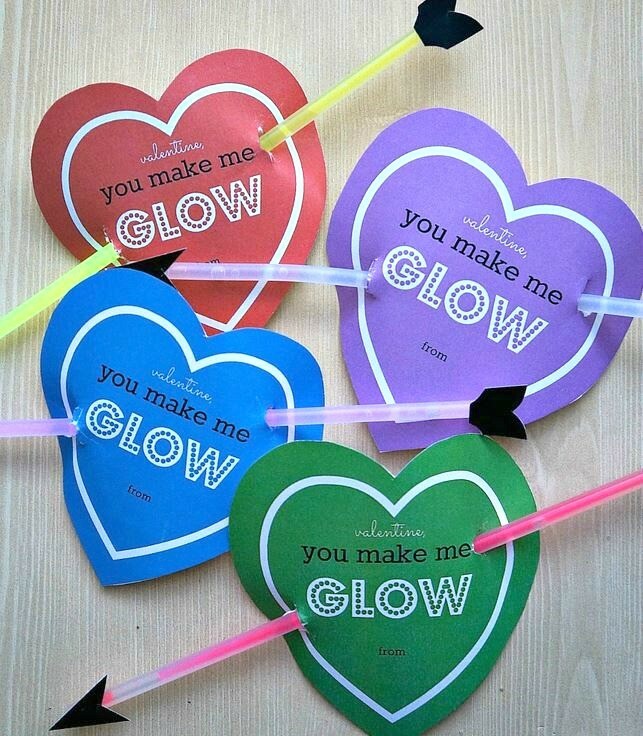 They are a great idea not only for valentines but also for any party. I am thinking about how to celebrate my 7-year-old boy party next month, and I decide to make them in the party. I believe that the kids will be excited with the lovely marshmallow pops. How long in advance can these be made? Hi. I’d love to make these for my son’s party in 2 weeks. I’m wondering – can I make these ahead of time and freeze entire marshmallow pops along with the straw? Does the paper on the straw get soggy? Thanks! Did you ever get a reply to this question? I was wondering the same thing…. These are so adorable. I will be making them for a baby shower I’m hosting next week. Thanks for Sharing. My gkids are allergic to dairy. Is there something else to dip them in other than chocolate? Thanks. I use the Wilton Candy Melts for these and also the cake pops I make . They come in many colors, and you can add whatever flavoring you choose. ‘Enjoy Your Life’ makes chocolate chips that you can melt and use in replace of this! They are dairy & nut free! My daughter is also allergic to dairy. I found the chocolates at Whole Foods, but I’ve heard that Publix carries them as well. And they are awesome! I made these with my son and they are so easy and yummy! I am making them to have on the candy bar/dessert table at my daughters Bday party next month. Just curious.. Did you use jumbo marshmallows or the regular ones? Also, do you know what size bags you used to wrap them in? I bought 3 in x4 bags at Michaels but I think the next size up will look better tied with a pink bow. Thanks for sharing this!! 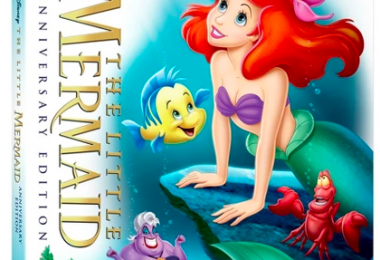 Ooh this looks gorgeous! So fast and simple but it looks stunning! Oh my, those are so pretty! I have been looking for something sweet and simple to make for my daughter’s classmates and this is perfect! Than you for the idea! Thanks so much! These are great, i’m using them for Valentine’s Day in a school project. Thanks! 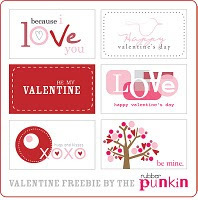 These are so cute, i’m using them for Valentine’s Day! Hope they turn out great. wow.. love how simple they seem to make and how cute they are.. thank u for sharing.. i hope u dont mind me posting on my blog..
Do you think you could keep these in the freezer for a couple days after done, or should I just make them the day of or day before the party? You should make them the day before the party. I think the marshmallows would get kinda funky if they were frozen. Maybe you can do a test run? What brand of white chocolate are you using, and how much? I usually use the Wilton pink candy discs, but their color isn’t that light bubblegum pink like yours. Also, how many drops of red do you put in the white chocolate? 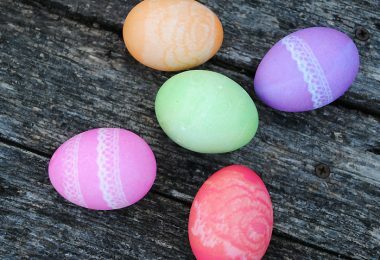 Try the white Wilton candy discs, then start with one drop of red to see how you like the color. 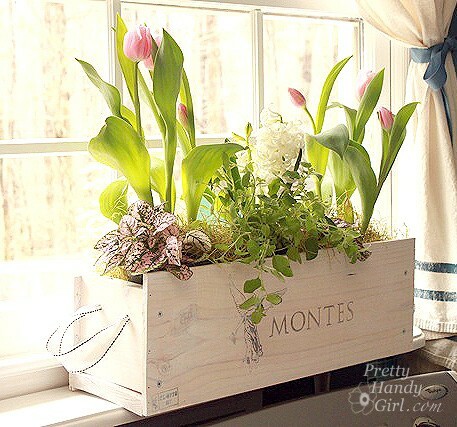 Very good idea for mothers who does not have much time to do complicated things. I wonder which white color you used.Wilton carries white and bright white candy melts.I could’t make sure. These are a great alternative to cake pops. My daughter’s 10th birthday is next week and i would love to try and make these. Wish me luck! 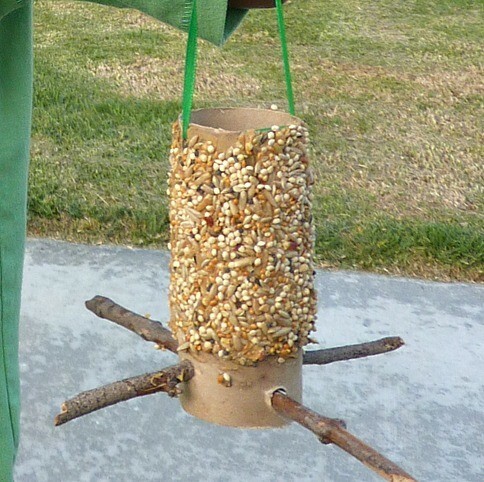 We are making these with Pixi sticks instead of straws, can’t wait! Thanks! Hi Deanna! I loved this idea, so cute and also a lot of fun to make! not too much trouble at all, also I have a quick tip for you,I’m sorry that you have trouble with making cake pops, these are adorable but if you really want to do cake pops, buy a box of donut holes, easy cheat!!! ha-ha it works great, amd no one will know, and besides decorating is the fun part right? Very cute. I think Iwould snip the tops of of some Pixie Stix and use those in place of straws. Another treat, when you finish your treat! I made these for my little girl’s 1st birthday and they were a big hit. I would store them the same way that marshmallows are normally stored, in an air tight container in a cooler area of the house. If you refrigerate or freeze them too long, they’ll probably get hard. Thank You very much! I will try to make this for my girls Birthday in December! Super Excited! There are links in the post to a couple of places that you can find the paper straws online. So cute! so much better than CANDY and probably not near as messy! Where do u get the plastic baggies, or is it just saran wrap to cover them with? They have different sized plastic baggies at craft stores and probably party city. Have fun! Wondering how long they can last? I have a party Saturday and wondered if I could make them a few days in advanced. Sufia–I know I am a few months late but I made these on a Thursday and my daughter’s party was on Saturday. After they dried I just put them in a big zip lock bag and sealed it really well. They were still good the next week, just make sure to seal them really well. 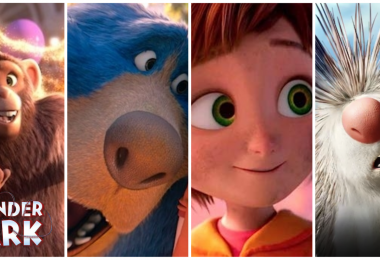 Super sweet, gorgeous, amazing – I can’t find more superlatives to describe these pops. You deserve being pinned that much on pinterest, wonderful pictures and make me want one/two/three of these wonderful creations! Can I melt the pink baking chips as well as the white chips or does it just have to be white with food coloring? I have never tried pink baking chips, I don’t see why they wouldn’t work! Candy melts work too, they have a bunch of different colors at Michael’s and probably on Amazon. Hope yours turn out great! So cute! I am making them now for my daughters birthday party, to give out instead of lollipops.